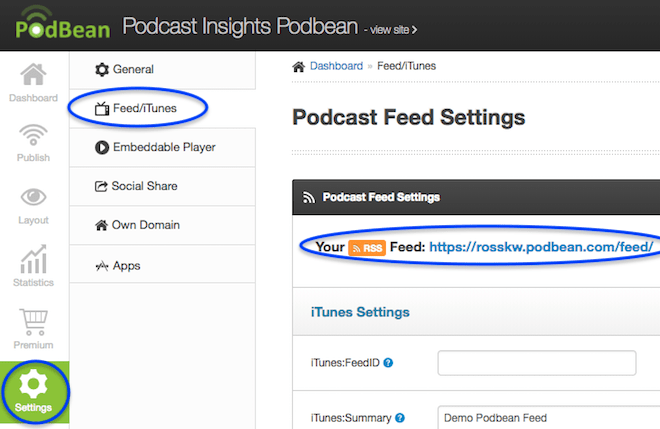 You need a podcast RSS feed to submit your podcast to iTunes and other podcast directories. You’ll typically get your RSS feed from your podcast hosting company. This is by far the easiest way to create a podcast RSS feed. Details below. Or you can get (or create) your feed from your own website if you use something like Squarespace or the PowerPress plugin for WordPress. Make sure you don’t upload your audio files directly to website host (with Squarespace being the one exception) as that will cause major issues. You will need to host your .mp3’s with a dedicated podcast host. –> Get a free $20 Amazon Giftcard when you sign up for Buzzsprout podcast hosting with this link. 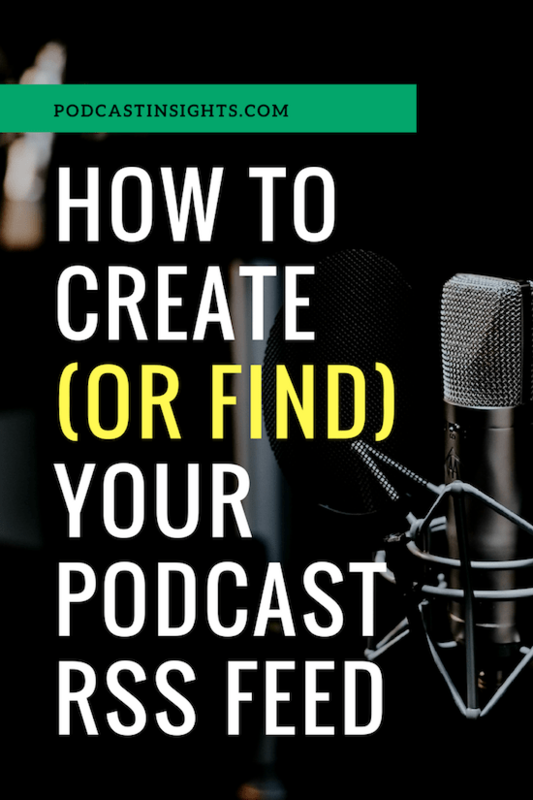 You want to make sure you submit a feed with only your podcast episodes, not a combination of blog posts and podcast episodes. The good news is that Apple will specifically let you know if you anything you submitted is incorrect. And if you are accepted to Apple Podcasts, all the other directories shouldn’t be a problem. You can create a podcast-only RSS feed on your self-hosted WordPress site with a plugin like PowerPress. Need your own website? Check out the best WordPress hosting companies for podcasters. There is a “simple” mode that walks you through the basics required to get your feed set up. Later you can switch to “advanced” mode to get more access to features you may want to customize. 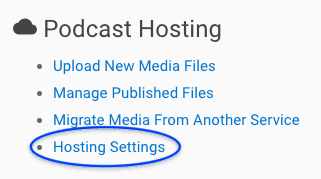 If you’re using custom podcast channels or category podcasting, you’ll find those feed URLs under their respective settings after you activate them. When you host with the top podcast platforms, you won’t need to worry about creating your own podcast RSS feed. That’s one of the services they do for you. You just need to make sure you fill out all the required information so that a compliant feed will be created for you. For iTunes, you don’t even need to copy and paste, you just simply click ‘Submit to iTunes’ and follow the instructions on Apple Podcasts. 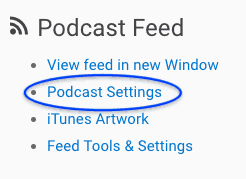 If you need to make any adjustments to your podcast info, just click ‘Podcast Settings’ up top. We have a full review of Buzzsprout if you want to learn more about them. For Podbean, you want to go to ‘My Podcast’ -> Settings. Under the general options is where you will put your title, artwork, description, and a few other settings. Just make sure you fill out the all the fields and save. Then visit the ‘iTunes Artwork’ and upload your podcast cover art. After that, you should be good to submit! Check out our review of Blubrry to learn more. If your website is hosted with Squarespace, they will create a podcast RSS feed under a special URL once you set it up. Then click Connect under Podcasting Setup. Next, you’ll enter all the required iTunes information (title, artwork, categories, etc.). The first Audio Block on a blog post will be the audio that is used for your podcast feed. You can find more details from Squarespace support here. Thank you!!!! This is EXACTLY what I needed & you saved the day! Good to hear Jane 🙂 Curious, which part exactly? And let me know if you have any other questions!